Vol. 1-3 in one giant bundle package containing 390 presets. A complete entity of sounds suited for dark ambient, contemporary art music, any electronica, glitch, minimal, industrial, noise, drones, sound installations, film production, games production, drum and bass as well as alternative, progressive and experimental composing. 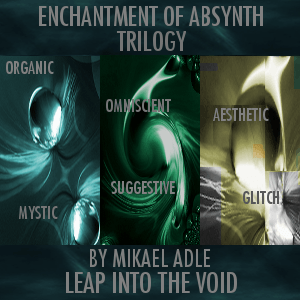 • Enchantment Of Absynth Trilogy contains a total of 390 presets. • Included are detailed patch lists, descriptions of every sound and tweak examples where applicable. Note: All sounds heard in the demo come from the included presets.